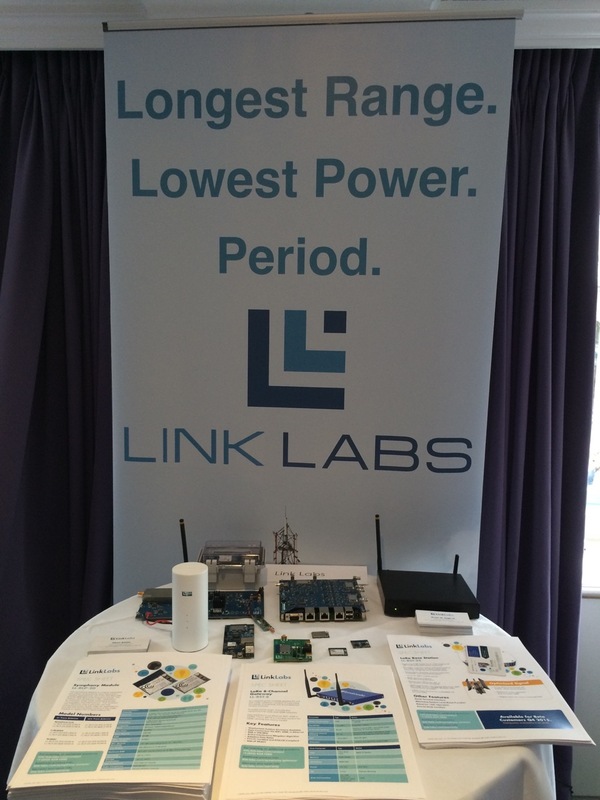 A few of us from Link Labs just returned from the 2015 LoRa Alliance All Member Meeting & Open House in Paris. We are excited to report that the demand for LPWAN networks has never been greater. Here are some of our main takeaways from what we saw during the conference. What is the LoRa Alliance? LoRa Alliance is a nonprofit association with a goal to standardize low-power, wide-area networks (LPWAN). There are now 90 member organizations in the LoRa Alliance, including 42 new members since the alliance’s inception just six months ago in January 2015. See Also: What is LoRa? During the open session, the outgoing executive director of the LoRa Alliance, Ståle Pettersen, from Semtech said it is the alliance’s goal to be the de facto LPWAN standard by 2017. While this is an ambitious goal, it is not without merit. While Link Labs remains neutral on the topic of standardizing the technology this early on, there is the potential for major threats coming from both the cellular world and traditional mesh networks with new IoT-focused 3GPP and IEEE standards gaining wider adoption in 2018 and beyond. What it is most important for LPWAN technology companies to do is generate customer traction as quickly as possible. Getting OEM product companies and solution integrators using LPWAN technology quickly will ultimately help solidify its place in the market faster than early standardization could. While LTE and mesh technologies will not displace LPWAN from the market, the ability of LPWAN to capture early customers is critical. There were nearly 300 individuals from around the world in attendance at both the closed and open sessions. 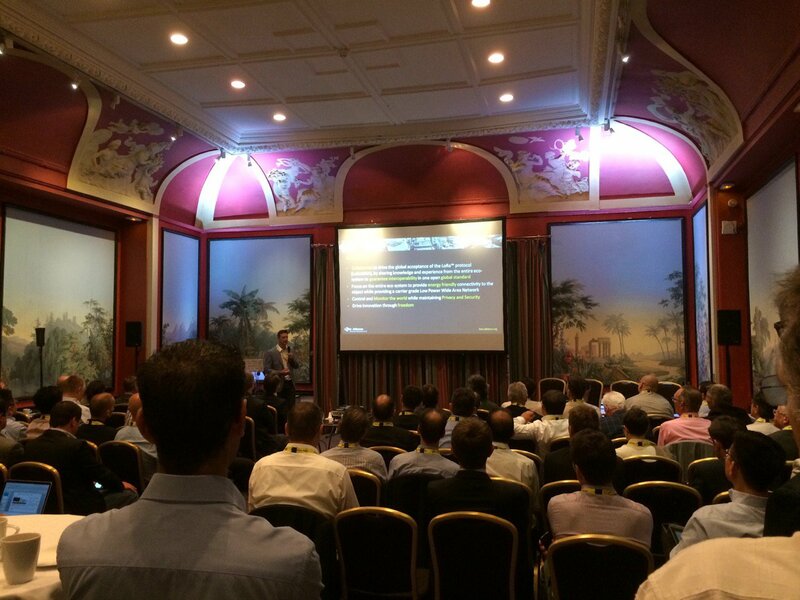 In fact, Friday’s open session was standing room only for the entire day. Several companies, including Link Labs, displayed and demonstrated their hardware and software solutions at the open marketplace. Some companies’ presentations focused on the interoperability aspect of LoRaWAN, while others presented specific vertical applications like smart streetlights and asset tracking. Link Labs presented a little bit of both: we discussed hardware that was compatible with an open standard as well as specific applications we’ve helped customers develop. Interoperability: Having some level of interoperability is the whole reason the LoRa Alliance exists. Whether alliance members agree on the architecture of the technology or not, it’s good to get everyone in the same room. That way, everyone can work together to grow LPWAN technologies. Prematurity: There is a lot of optimism and excitement surrounding LPWAN interoperability, which is a step in the right direction. But, in our opinion, there is still a lot of work to be done to create a fully standardized LPWAN system. Geographical constraints: It’s clear that there is a lot more momentum for LPWAN standardization in Europe than there is in the U.S. This is primarily due to geography—it’s simply easier to deploy this interoperable network in smaller European countries than it is in the U.S. There are a few countries working toward standardization here in North America, but they’re moving considerably slower than European companies. Bouygues, a French mobile network operator (MNO), began rolling out its network in June and is still pushing forward with a national network that covers all of France. Proximus, an MNO that covers Belgium and Luxembourg, will begin rolling out its LoRaWAN network in Belgium and Luxembourg in September. LoRaWAN 1.1 is due to be released later this year. It is primarily addressing bug fixes and other small changes based on member and operator feedback. LoRaWAN 2.0 is estimated to be released in mid-to-late 2016. Some of the features expected to be included in LoRaWAN 2.0 are roaming, network-initiated multicast and Class B support, and possibly a few standard profiles for payloads. Coming away from this conference, it is clear that there is a lot of excitement about LPWAN. We’re also glad to see a strong market for alternative protocols and technologies such as LoRaWAN, Symphony Link, and even (gasp!) competitors SIGFOX and On Ramp Wireless. Although we’re a company that offers an end-to-end solution—and thus sees the value in providing an application for those who aren’t interested in product and software interactions—we were glad to come together with a group of like-minded individuals to witness the beginning of a push for greater LPWAN interoperability.